WASHINGTON (AP) — In a major victory for President Barack Obama, the Republican-led House relented on Tuesday and will back legislation to fund the Homeland Security Department through the end of the budget year, without restrictions on immigration. House Speaker John Boehner, R-Ohio, outlined the dwindling options for his deeply divided GOP caucus on Tuesday morning after the Senate left the House with little choice. Boehner pointed out that the issue is now in the hands of the courts. Conservatives had demanded that the funding bill roll back Obama’s immigration directives from last fall. He signed orders sparing millions of immigrants from deportation. Democrats had insisted on legislation to fund the department, which shares responsibility for anti-terrorism operations, without any conditions. The GOP leadership’s decision angered several conservatives. But more pragmatic Republicans welcomed Boehner’s move. “Sanity is prevailing. I do give John Boehner credit,” said Rep. Peter King, R-N.Y.
A vote could occur as early as Tuesday. Short-term funding for the department expires on Friday at midnight. A federal court ruling has temporarily blocked the administration from implementing the new immigration rules. The administration has appealed the decision and the ultimate result of the legal challenge is unknown. 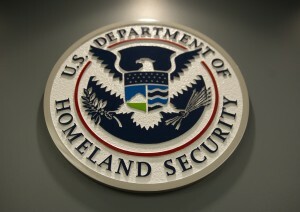 Passage of the stand-alone spending bill would seal the failure of a Republican strategy designed to make Homeland Security funding contingent on concessions from Obama. The department, which has major anti-terrorism responsibilities, is also responsible for border control. Whatever the final result of the struggle, controversy over the legislation has produced partisan gridlock in the first several weeks of the new Congress, though Republicans gained control of the Senate last fall and won more seats in the House than at any time in 70 years. Even so, Democratic unity blocked passage in the Senate of House-passed legislation with the immigration provisions. By late last week, a split in House GOP ranks brought the department to the brink of a partial shutdown. That was averted when Congress approved a one-week funding bill that Obama signed into law only moments before a midnight Friday deadline. Left: House Speaker John Boehner says that the House of Representatives will vote as early as today on a bill to fully fund the Department of Homeland Security. The bill would not include any language to roll back President Barack Obama's executive actions on immigration. Photo by Saul Loeb/AFP/Getty Images.